cross | XKV8R: The Official Blog of Robert R. Cargill, Ph.D.
Boss Creations Glowing Cross "Put the Cross back in Christmas" Trees. Now in "Natural" and "American Flag"
I simply don’t know what to say about this line of merchandise. A company, Boss Creations, has tried to put the ‘cross’ back in Christmas by selling Christmas trees with actual glowing crosses in them!! 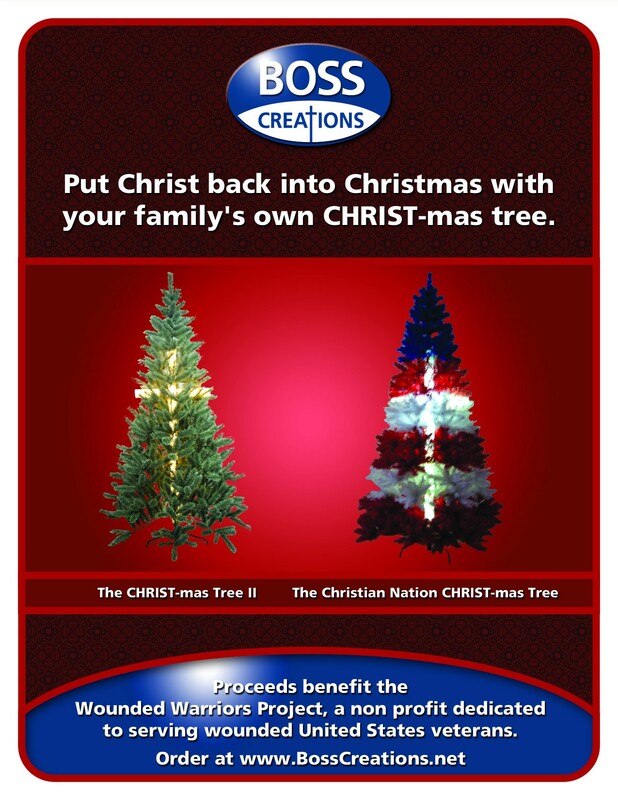 And just when you thought Santa’s special troop of fundamentalist tacky elves couldn’t get any worse, Boss Creations has gone and Glenn Beck-ified Christmas by creating a red, white, and blue American flag Christmas tree, complete with glowing cross. 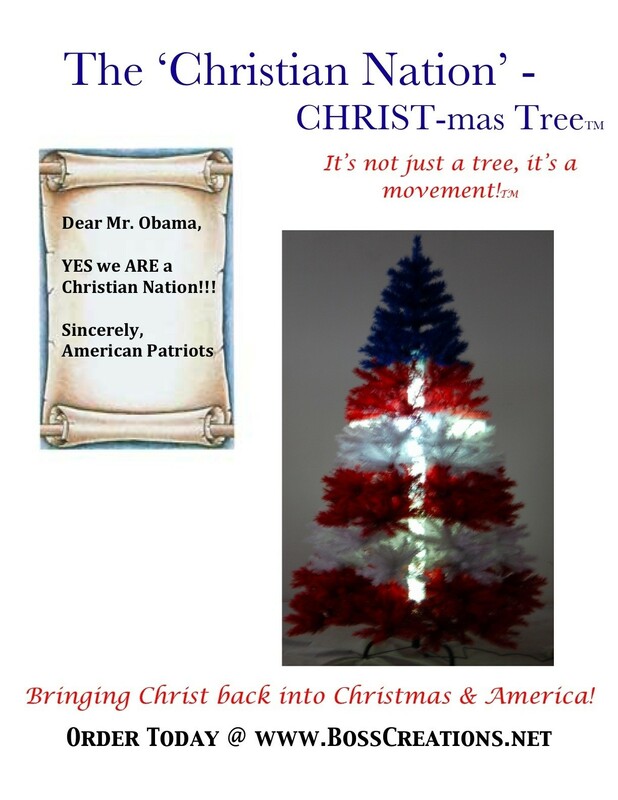 Boss Creation’s new ‘Christian Nation’ Christmas tree (I kid you not, I’m not making this up) means they’ve gotten back to the true meaning of Christmas and put the ‘America’ back into Christmas. HT: Steven Colbert and Steven Colbert.